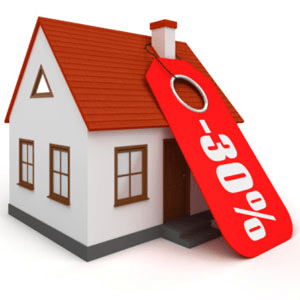 Why the Price of Real Estate May Not Matter! In the past week, there has been a lot of talk and worry about real estate prices. A lot of this is the direct result of the Bank of Canada increasing the overnight interest rate last week. 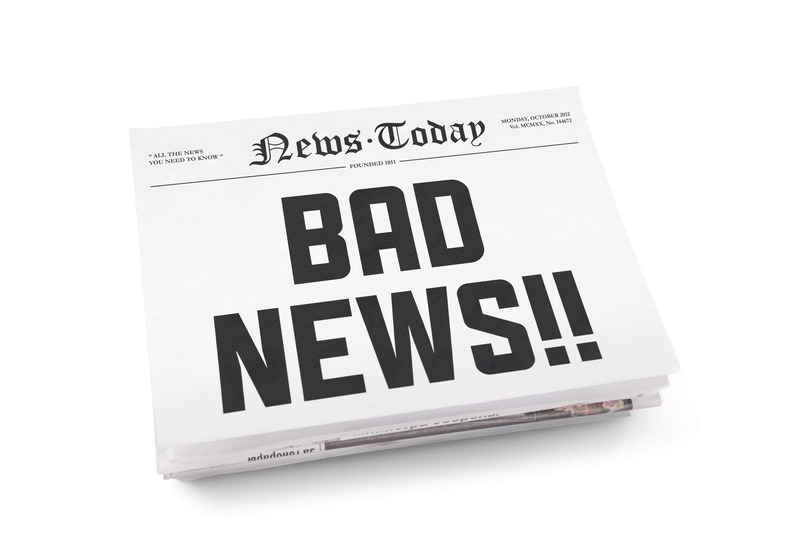 Panic at the News – Having been in real estate investing long enough, I see patterns when interest rates go up. Frankly, whenever anything newsworthy happens, everyone panics (true story). This applies to mortgage rule changes, media headlines, and stats. The announcement itself, be it positive or negative, actually doesn’t affect the market in the long run because after a few weeks, everything goes back to normal and people forget what happened. It’s always just a minor hiccup in people’s daily lives until they are distracted by the next wave of media headlines. Announcements have more of a psychological, temporary effect than anything else. It’s the initial shock factor and herd mentality that has everyone scared. As real estate investors, if you understand the fundamentals, then you will know exactly why I always preach cash flow, cash flow, cash flow and why any announcement, whether it’s positive or negative, does NOT really matter at the end of the day. CASH FLOW IS KING and the PRICE OF REAL ESTATE IS JUST AN OPINION. Take a few seconds to absorb that. Generally, we often hear people say cash is king. Quite frankly, that is 100% true. 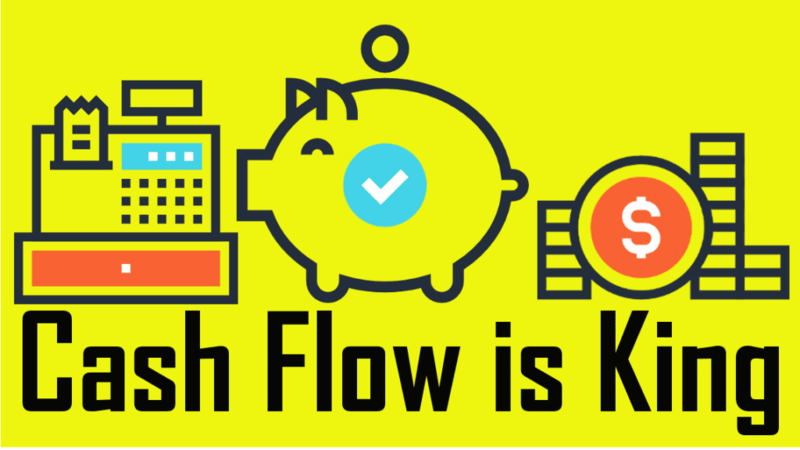 In real estate investing terms, the same applies as cash flow is king. Show Me the Money – Allow me to explain. If you are cash flow positive every month, this means REAL HARD CASH is deposited into your bank account. You can spend it, invest it, and/or save it. Essentially, you can do whatever it is that you want with this extra cash – to your heart’s content. Got An Opinion? On the other hand, the price of real estate is just an opinion. Yes, an opinion. It doesn’t matter if it comes from me, another realtor, your family member, or the newspaper – it’s just an opinion. If someone tells you what your property is worth, it is JUST AN OPINION. If it gets bought/sold at a particular price, then that becomes a fact. What’s the Difference? You cannot take the price of your property to your nearest grocery store in exchange for food. You cannot take the price of your property to your nearest Starbucks to get a coffee. You cannot take that opinion of how much your property is worth to fill your car up with gas. You get the point here. These are all opinions that, at the end of the day, have no monetary value. However, you CAN take your cash flow to the nearest grocery store to buy food, or Starbucks to get a coffee, or gas station to fill up your car. Turning Paper Gains Into Cash – When you have appreciation from your properties, you have what accountants and finance whizzes call “unrealized gains“. This is the same principle as when you have stocks that have gone up in price but you are still holding onto them. You have profit on paper, but have yet to realize the gain because it has not yet been sold to get a cash return. In real estate terms, the only way to realize your gains and turn that property appreciation into cash is by selling your property (which I don’t recommend very often under these market conditions) or by refinancing your property (which I would recommend). If you understand the concept above, then you are truly a savvy, veteran real estate investor. Hats off to you. How to Survive a Crash and Sleep Comfortably – If the market completely crashed and real estate prices dropped 100%, I would still be able to comfortably sleep like a baby at night. Why, you may ask? If my portfolio is worth $100, $1, or even $0.01 tomorrow, I would still have all of my tenants paying for my property’s carrying cost (building equity) and at the same time, generating positive cash flow. I ONLY LOSE money if I sell my property during a cash, or in other words, if I opt to realize the loss by selling my asset during a downturn. However, if I don’t sell and carry the unrealized loss on paper, then I’m still making positive cash flow each month during the downturn! How You Lose Money in Real Estate – The unfortunate mistake that I always see too often is when people buy cash flow negative properties and do not prepare themselves for the worse case scenario (i.e., a market crash). When a crash does happen, the people in this category would freak out from these negative headlines, and it is only then when they realize that their property is cash flow negative, taking a few hundred bucks from their pockets each month while they are IN a market downturn. In a state of panic and worry, these people would go on to list their property and eventually sell it at a loss. That, my friend, is how you lose money in real estate. Losing a few bucks each month in a market that is trending upwards is fine. In fact, you may even still seem like a genius investor to everyone else. This situation changes dramatically though if the market changes and takes a turn for the worst. The best thing you can do to protect yourself as an investor is to always ONLY buy a property with positive cash flow. That is my rule of thumb, and what I always recommend to my clients. If the numbers work, then buy it. If it is positive cash flow investment, then the juice is worth the squeeze. Having a cash flow positive property during a crash is how you survive it. It is also how you create generational wealth in real estate – by holding onto your properties and surviving the ups and downs of the market while still pumping cash flow into your pockets at the same time. The Wrap – So there you have it. Cash flow is king and the price of real estate is just an opinion. I hope this week’s Insight Article has been a nugget of gold for you. I know its a huge mindset shift but if you can understand it, you are on your way to becoming a successful and wealthy real estate investor. If you are looking for cash flow positive properties in Toronto (they are very rare by the way! ), then make sure you reach out to me ASAP. There are some limited properties yielding MASSIVE cash flow that will become available on the market very soon. Be sure to get yourself onto my ‘Massive Cash Flow’ mailing list if you want to score some of these awesome rare finds! Yes, I want Massive Cash Flow. Click Here to Stay Updated Now! Previous Previous post: New Mayor and Interest Rate Increase – What Does This All Mean? Next Next post: TINDER for Real Estate? !